Lithium ion batteries are the most common kind of battery today. 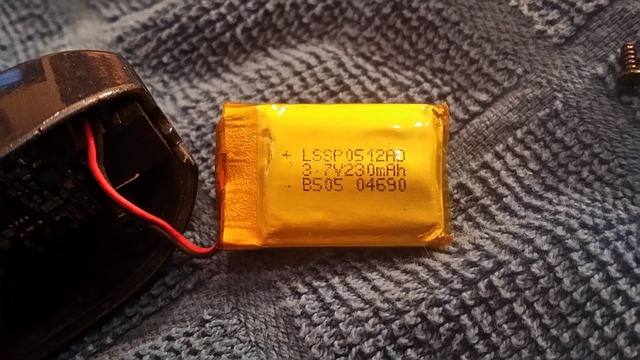 It replaced the Nickel Cadmium batteries as the staple rechargeable battery to be used on phones and a number of other devices. One thing that propelled this variant to the top is that lithium ion battery memory effect is almost unheard of. This effect is disadvantageous for rechargeable batteries, as memory effect is known to make batteries inconsistent and age faster. 1 What is the memory effect? The memory effect is thought to be common in early designs of rechargeable batteries, and it is believed to contribute to the aging of batteries. This effect is credited to be the cause of inconsistent battery discharge cycles, and also why some batteries take some time to charge but only take a short while to be fully drained. The effect is observed on older battery materials like nickel cadmium (as mentioned). It is a complicated phenomenon, but in a nutshell, the memory effect exhibits itself through consecutive charge and discharge cycles done in different levels of the battery’s power content. For example, if you drained an older battery to 50 percent of its total power, and then charge it, an effect will linger wherein the battery (or the chemicals within it) “remember” that 50 percent is the threshold for recharging. Do this often enough and you might find that your battery will ask to be charged in much shorter intervals. This is because the battery thinks 50 percent is zero percent, as of all the recharging you did made it “remember” that certain point as the point to recharge. This is basically what the memory effect is. Remember when the common advice for recharging older batteries is to “charge only when the battery is completely drained”? This has a ring of truth to it, and a logical explanation is presented via the aforementioned phenomenon. If you want your battery to remember its zero point, you must try and charge it when it is almost at its zero point, as much as possible. Batteries have come a long way in the past decade, and the myriad uses we found for them only led to more innovation towards more efficient, portable energy. Of course, we would not be the maker of state-of-the-art things if we did not find a remedy for the memory effect. One would think that for scientists and inventor, there must be an easy way so that this effect will just be an interesting bit of history in battery technology, innovation, and development. Experts in the field of chemistry, engineering, and physics actually did overpass this hurdle. With the advent of lithium ion batteries, it seemed that the memory effect is no longer a problem, or at least it has been minimized to a point where it would bring no significant changes in the first 500 charge cycles or so. Lithium ion batteries now power most smartphones, tablets and gadgets, and it is easy to see why companies favor this particular chemistry over others. The one major thing going for it is that it has believed to have eliminated the memory effect. This alone contributes a significant deal to its longevity. This also means that users can recharge their batteries any time, at any charge level, without fear of the memory effect taking its toll and affecting the consistency or output of the battery. It has been long believed that lithium ion exhibit minimal memory effect. 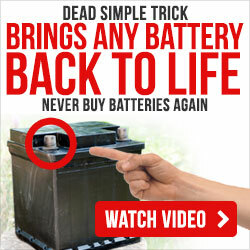 However, recent research about these kinds of batteries may disprove this. The research by some scientists at the Paul Scherrer Institute (PSI), together with their colleagues from Toyota Research Laboratories located in Japan, confirm that the dreaded memory effect is present in lithium ion batteries, too. Granted, it is found in a very specific type of battery, but knowing that this is present after all brings a lot of problems. This is especially true since a lot of gadgets and even electric cars now run on batteries that are made of, or based from, lithium ion components. They have specified that they found the effect upon examining the positive electrodes of lithium ion phosphate (or LiFePO4) batteries. The thing with lithium ion phosphate batteries is that its voltage remains pretty consistent in the larger part of the states of its charge. This means that even the slightest alteration in the operating voltage of the battery may be misinterpreted as a drastic change in the state of charging. For example, if the operating voltage of a specific battery is 9 volts for most of the charge state, say 20 percent to 100 percent, then a change in the voltage may be misinterpreted as a drop in the charge rate, too— 20 percent charge, in this particular case. This particular case of a voltage and charge drop may be different to what we explained before happening in nickel cadmium rechargeable batteries, but is still a form of memory effect wherein certain drastic changes to the sate of the battery may compromise its longevity or usefulness. They add that the easiest fix for this is time, though. Those who have batteries affected by the memory effect may try to let their batteries be idle for some time. This might have the benefit of “resetting” the materials in question to a state wherein they are not affected by residual problems of the memory effect any more. In any case, there is no shortage of practical advice to salvage your affected batteries, and some of these might even help prevent the problem altogether. It is easy enough to preserve the battery charge of a phone, for example, by turning down the brightness and sound and setting its automatic sleeping interval to a short period of time. However, there are steps you can take to preserve the life of the battery itself. The optimal “safe” temperature for a lithium ion battery is 20 to 25 degrees Celsius. This will not be too hard for batteries that you use, as you will most likely be in a comfortable temperature around that range when you use your devices. But batteries you put in storage may be a different story. When storing lithium ion batteries, make sure they do not get into extremes of heat. This is the worst that could happen to fully-charged batteries left in stock. One of the most common questions asked regarding batteries is that, is it better to use a bunch of low-capacity spare ones or just one high-capacity battery? The answer is almost obviously the latter, for the purposes of convenience. Still, another reason is that batteries deteriorate over time, whether one uses it or not. So the spare ones pretty much deteriorate at the same rate as the battery you are actually using. As mentioned earlier, most lithium ion batteries do not have a “memory effect” and thus do not require full charge and discharge cycles to be effective. Actually, it would be better for these types of batteries to be charged partially. Keep it mind that it is still and good practice to let the battery be completely discharged after about 30 charge cycles. This is because while lithium ion batteries may not have a memory effect, they could developed what is called a “digital memory” wherein devices like smartphones might misjudge the charge gauge of the battery. The point of the complete recharge is to recalibrate the gauge system. However, a “complete discharge” does not mean to completely drain the battery. This is actually dangerous as draining a lithium ion battery completely may activate a “safety” feature that would indicate a battery as dead. It could still be recovered by a special booster charger, but that would be an unnecessary inconvenience. As mentioned earlier, cooler temperatures is a must for storing batteries. But keeping them at something not exceeding 40 percent discharge will help with their longevity as well. If you can store your spare batteries in a chiller like a refrigerator (never the freezer), you can expect for it to last longer than ones stored at room temperature. It cannot be denied that lithium ion batteries has helped shaped the way the modern world of business and society in general Is run right now. Being that it is found that found on most gadgets, it is important for us to know what we can do to improve our experiences with using them. Be it preserving their longevity, or avoiding the memory effect, every little bit of knowledge helps for us to prolong their use. Of course, the recently discovered lithium ion battery memory effect may have some implications on the current technological landscape. But given the rate of how fast technology is improving, it can be safely said that we may have a fix for this particular battery issue soon. Here is the related article on how to recondition lithium ion battery.